We the Thai Moom believe that the creation of the finest meals begins with the best selection of ingredients, so our chefs take to acquire the best produce available locally and the finest spices from around the world. 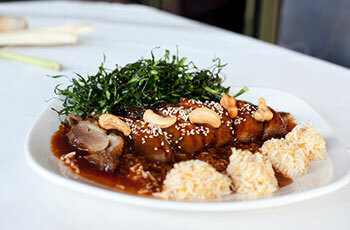 In keeping the traditional dishes and old favorites, we have introduced some of the most innovative dishes. In Thai Moom menu you’ll find verities of flavors such as, Bangkok Special dish, Tapas, Chiang Mai Special, verities of curry dish, fried items, delicious dessert items and many more with a wide selection of wines. We are also providing Sunday special buffet and special A La carte menu so that our guests can try some different with our regular menu! Our teams of chefs are some of the most celebrated chefs of their generation; each chef is a specialist in their own field. Our customers can find us in facebook and twitter. 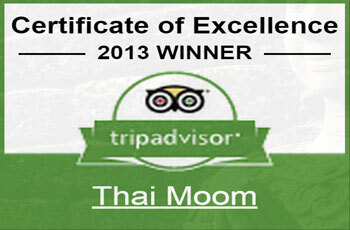 We awarded for Certificate of Excellence-2013 by Tripadvisor. 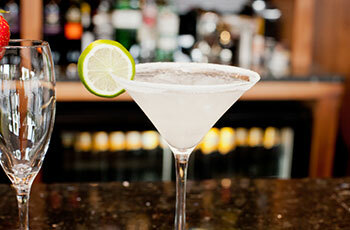 Thai Moom is open from Monday to Sunday at Petts Wood, Orpington. For your special day event we suggest you to make a reservation to enjoy the fullest. For any kind of query please feel free to call or leave a message to contact with us.